Let's just talk about some games... Here's a new card game based on presidential elections. But this one you can feel a lot more in control of. 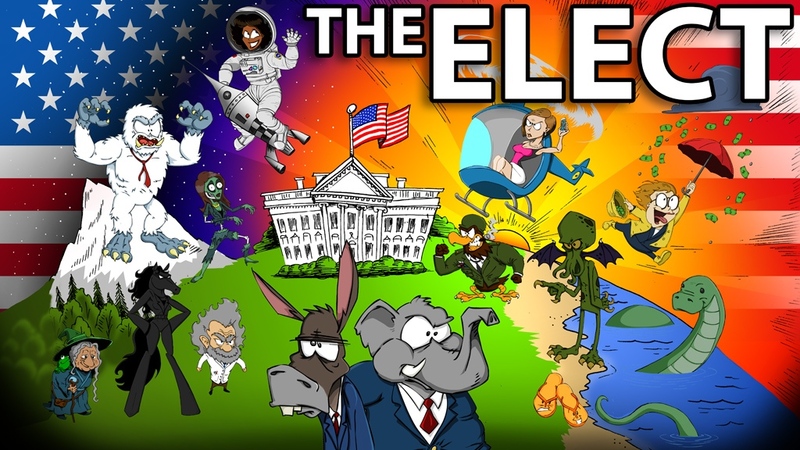 It's called The Elect and it's up on Kickstarter now. In the game, you must make it so your candidate's priorities meet that of the Political Climate of the populace. You'll do this by playing different cards, adjusting your own priorities while messing with your opponent's. You also have to keep track of your funds, otherwise you'll be out of the race. The game ends when one candidate has the same priorities as the Political Climate... or there's only one candidate left in the race. Either way, that person becomes the leader of the free world.